The Ninth Legion marched into the mists of northern Britain - and they were never seen again. Four thousand men disappeared and their eagle standard was lost. It's a mystery that's never been solved, until now ...Marcus has to find out what happened to his father, who led the legion. So he sets out into the unknown, on a quest so dangerous that nobody expects him to return. The Eagle of the Ninth … is heralded as one of the most outstanding children's books of the twentieth century and has sold over a million copies worldwide. 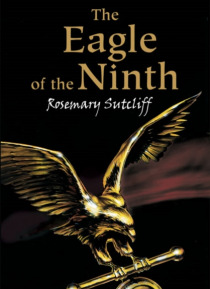 Rosemary Sutcliff writes with such passion and attention to detail that Roman Britain is instantly brought to life and stays with the reader long after the last page has been turned. The book is also now the subject of a major film.